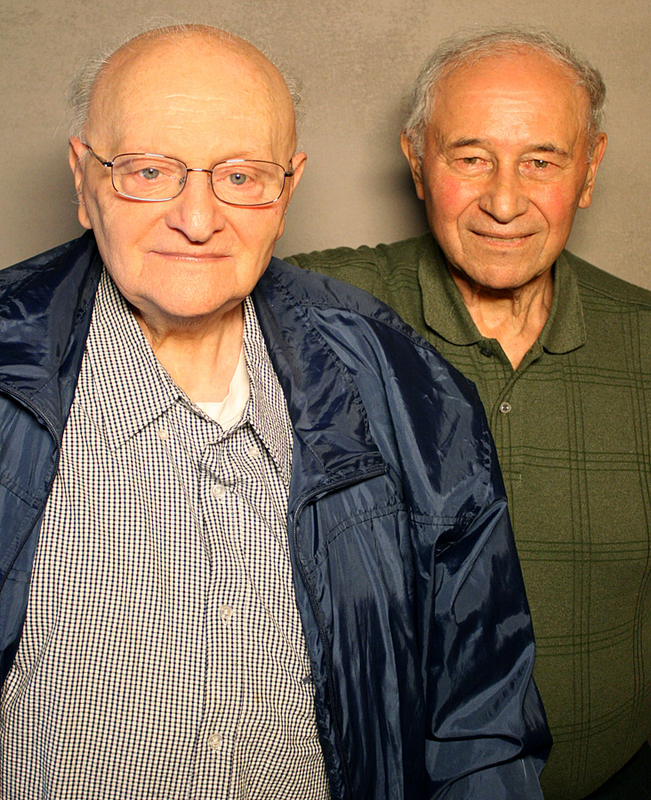 The Bizzaro brothers — James, 81 (left) and Paul, 82 — spent their childhoods living in a house right behind the Statue of Liberty. The island that serves as home to the Statue of Liberty — shown here in 1952 — was called Bedloe's Island until 1956, when its name was changed to Liberty Island. It recently reopened after suffering damage from Superstorm Sandy. 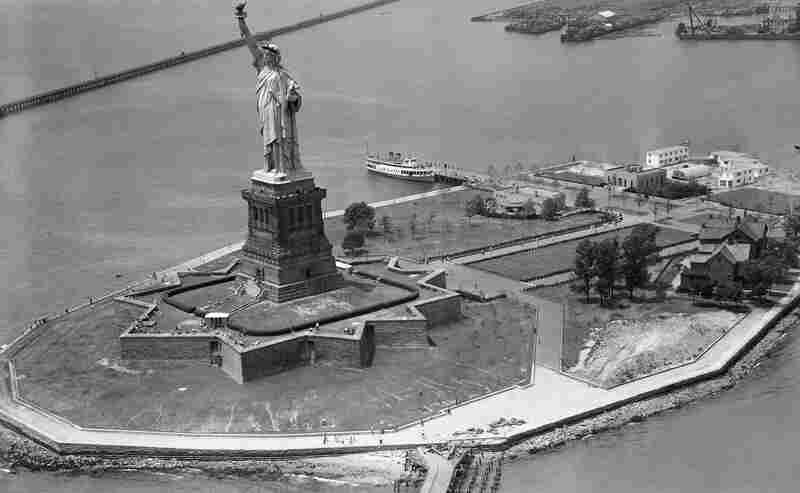 When the Bizzaros moved to what's now called Liberty Island in 1937, Paul was 8 and James was 6. "Half of the island was for the visitors. The half that we lived in, we had that whole half to us," says James. "But we were allowed to do whatever we wanted, so we used to go up to the torch," Paul remembers. "And if you shook enough, the whole arm would shake," James says. The boys shook it once when their mother was walking up. "She never went up again," Paul says. "We used to go on the ferry to go to school, and I remember Sister Alphonsus Marie -- she was tough, like a truck driver," James says. "She was mean. But she was always talking about the island, so I invited her to come to the statue, and we climbed the head, and she says, 'Oh!' She says, 'This is the closest I'm going to get to heaven.' But she never treated me any better or any different." "And the way a person knows every corner of his house, he knew every corner of that Statue of Liberty," says James. Their father retired in 1971 after 36 years there. He had been a guard for about a year, then began working in maintenance, and eventually became the maintenance supervisor. "When he retired, it took 11 men to replace him. He was the man that kept the statue lit. The lights, they never went out when he worked," Paul says.